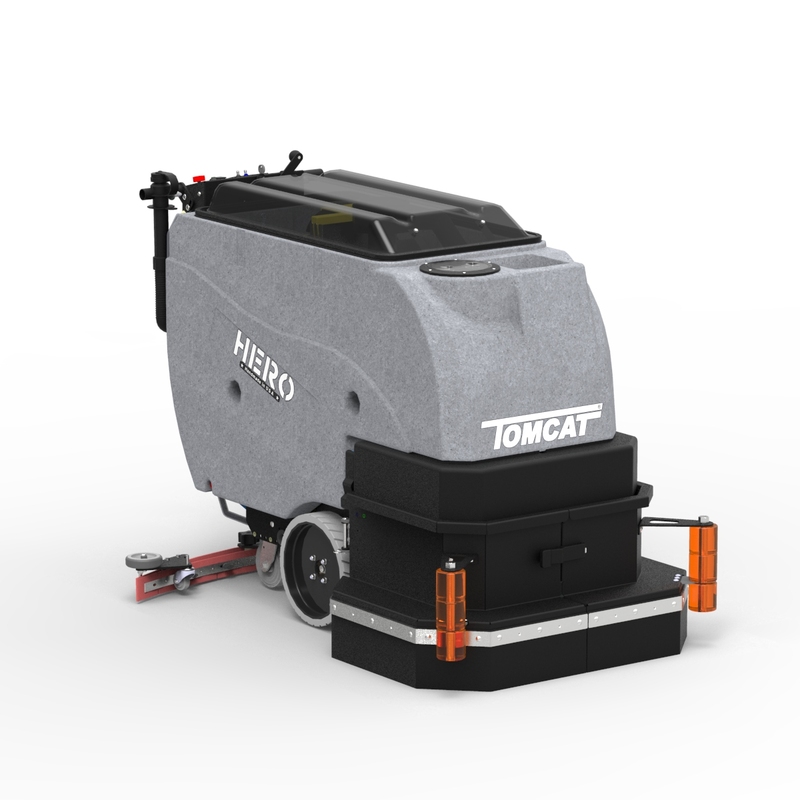 While keeping with the constant durability that Tomcat machines have to offer, your operators will find the HERO Floor Scrubber Dryer easy to maneuver and simple to service. The deck is protected by steel guards and large polyurethane rollers to keep the unit from marking walls. 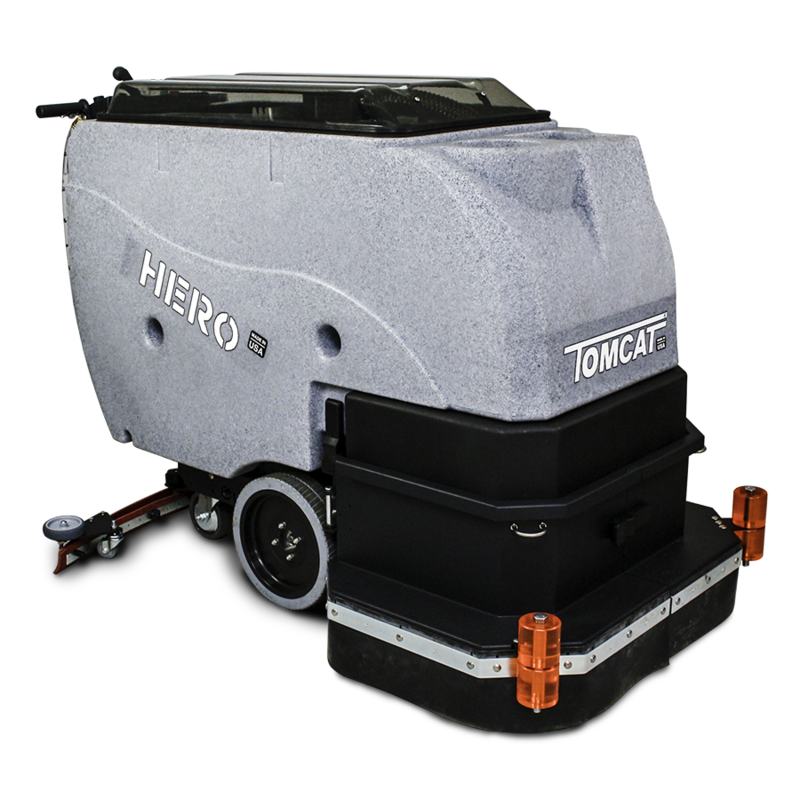 The HERO Scrubbers are available with Disk, Cylindrical and EDGE scrub heads.